Iraqi lawmakers met Saturday in emergency session to discuss the crisis in public services in main southern city Basra after 12 protesters were killed this week, the Iranian consulate torched and its airport hit by rockets. 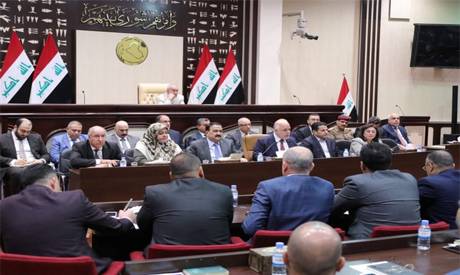 In a session attended by 172 deputies in the 329-seat house, Abadi traded barbs with Basra's governor, Asaad al-Eidani, who is also parliament speaker. Basra has been rocked by protests since Tuesday, with demonstrators setting ablaze government buildings, the Iranian consulate and the offices of pro-Tehran militias and political parties. At least 12 demonstrators have been killed and 50 wounded in clashes with security forces, according to the interior ministry. The foreign ministry called the attack on the consulate "an unacceptable act undermining the interests of Iraq and its international relations". Iranian foreign ministry spokesman Bahram Ghassemi denounced the "savage attack", Iran's Fars news agency reported. Iran's ambassador to Iraq, Iraj Masjedi, said the consulate was "totally demolished" and charged that "foreign agents close to the US, Zionists and some Arab countries are trying to sabotage Iran-Iraq relations", Iran's ILNA news agency reported. Since then at least 27 people have been killed. The anger on Basra's streets was "in response to the government's intentional policy of neglect", the head of the region's human rights council Mehdi al-Tamimi said. Iraq, however, suffers from persistent corruption and many Iraqis complain that the country's oil wealth is unfairly distributed. Parliament said lawmakers would hear speeches by Abadi and key ministers and discuss the water contamination crisis, the latest breakdown in public services to spark public anger. The meeting was demanded by populist Shiite cleric Moqtada Sadr, whose political bloc won the largest number of seats in May elections although a new government has yet to be formed. Sadr has called on politicians to present "radical and immediate" solutions at Saturday's session or step down. Two months ago, Abadi pledged a multi-billion dollar emergency plan to revive infrastructure and services in southern Iraq, one of the country's most marginalised regions. The premier is trying to hold onto his post in the next government and has formed an alliance with Sadr, a former militia chief who has called for Iraq to have greater political independence from both neighbouring Iran and the United States.